Kakao, operator of South Korea’s top mobile messenger KakaoTalk, has formed a new subsidiary dedicated to developing artificial intelligence technologies in a move to ramp up its capabilities in future technologies. The Korean mobile giant said Wednesday that it officially founded a new subsidiary focusing on AI technology research and development, named “Kakao Brain,” on Feb. 1. 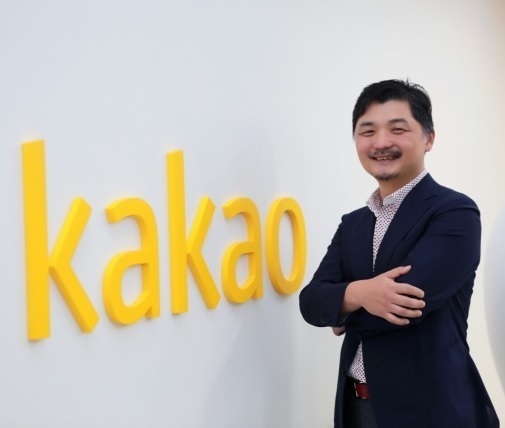 Kakao Brain will be directed by Kakao founder and chairman Kim Beom-su, who will serve as the new subsidiary’s CEO, reflecting the company’s view of AI tech development as a crucial part of its future growth agenda. Established with initial capital of 20 billion won ($17.5 million), Kakao Brain will develop and invest in central technologies related to AI, aiming to utilize AI to improve its services and expand its business, Kakao said. Through its new subsidiary, Kakao plans to incrementally introduce various services across diverse lifestyle categories, it said. For example, Kakao plans to soon introduce an artificial intelligence chatbot into its “Plus Friends” -- corporate accounts on KakaoTalk that send out promotional messages to users who add them -- to handle product inquiries, purchases as well as payments at once. In addition, the company said it would make continued efforts to discover and nurture more domestic professionals specializing in AI development. “Kakao has been continuously working to develop diverse AI-based technologies including voice and image recognition as well as optimized website recommendations based on machine learning,” Kakao said in a statement. “With the formation of Kakao Brain, we expect to be able to more actively pursue AI tech development and build on our future strategy,” it said. Kakao’s recent move is speculated to have been partly motivated by its bigger rival Naver, which has been pushing forward AI development as one of its key priorities. Named after the famed AI assistant program Jarvis from “Iron Man,” Naver’s J Team is led by Shin Joong-ho, Chief Global Officer of Line Corp., which operates Naver’s flagship mobile messenger Line. The body has contributed to the birth of various AI-based services offered by Naver, such as its AI chat service AMICA and AI-powered translator Papago. Naver’s main vision is to transform itself into a “technology platform,” for which strong AI capabilities will become a crucial component.